Our company offers Guar Gum Derivatives to our customers. These products are processed under complete hygienic conditions to ensure only qualitative range is delivered to customers. These products are quality tested at various stages to leave no stone unturned in quality. We offer these products at market leading price. We are offering Xanthan Gum. These Xanthan Gum are manufactured by our experienced and qualified team of chemists. 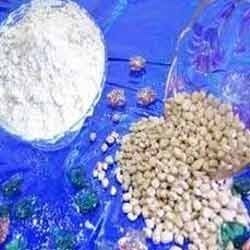 Our team of experts and our high tech infrastructure enables us to offer supreme quality range of Guar Gum Powder that is highly used in various industries. 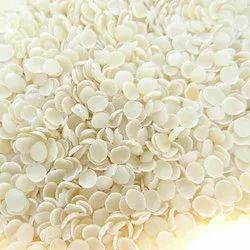 Our range of Guar Gum Splits finds usage in various industries. These products are processed using high grade raw material and following necessary quality standards. The products we offer gives excellent results in the usage to the user. Our product range can be availed by our esteemed customers at market leading price. 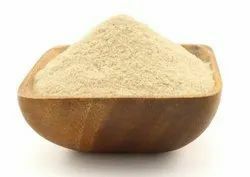 Cationic Guar Gum for Hair and Skin Care : Cationic guar gum comes as a light yellow powder, and we use it at 0.2% to 1% in our products. It's soluble in water, dispersible in glycerin and glycols, and insoluble in oils. It works best in a solution with a pH of 7 or lower when it thickens best. It can create gels, although they might be hazy, and they work well with our surfactants, so we can make conditioning shampoos, body washes, and any other cleansing product where you want a little thickening and conditioning. Looking for Guar Gum Derivatives ?